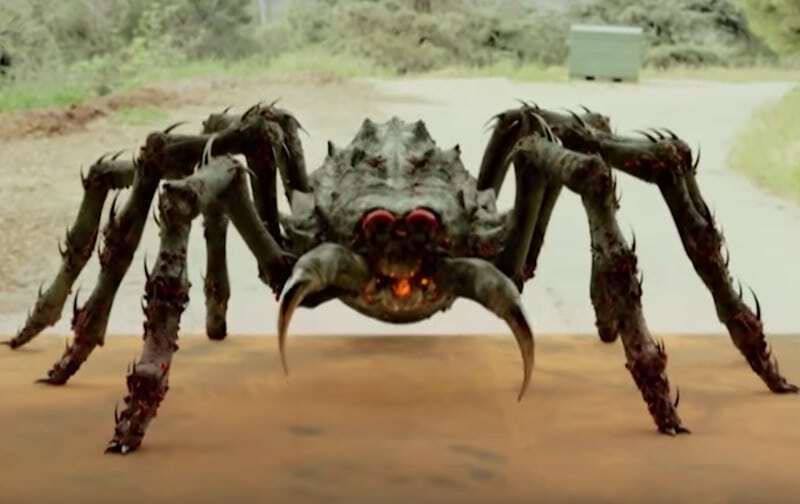 Forget sharks and tornadoes, tonight it’s all about volcanic tarantulas as the sequel to last summer’s Lavalantula hits our screens — in 2 Lava 2 Lantula! While the pesky fire-breathing arachnids took their unique brand of horror to the streets of LA last year, this year they’re headed to the beach in Florida and it’s not going to be pretty. The terrifying eight-legged beasts with molten insides are now bigger, hotter than nastier than ever before — and that’s just the babies. Guttenberg leads a stellar (kinda) cast including fellow Police Academy actor Michael Winslow and TV regulars Michele Weaver, Jimmy Bellinger, and Erron Jay. Guttenberg plays Colton West, who does what any awesome dude would do and swaps filming his latest blockbuster movie to save everybody in Florida — including his stepdaughter — from the scary mercury-boosting critters. A nest has been woken and to destroy them there’s going to have to be a serious bloodbath — well, there’ll be lots of lava anyway. The story of 2 Lava 2 Lantula focuses on the battle to rid the Sunshine State of the hairy molten spiders, before the mother of all scary straight-to-TV-movie monsters steps in on the scene. But it’s not like you actually care about the storyline anyway. These are Lavalantulas we’re talking about after all..
Catch 2 Lava 2 Lantula at 9/8c tonight on Syfy…if you dare!